100% self-sufficient rustic yet comfortable lodging, away from the beaten path. 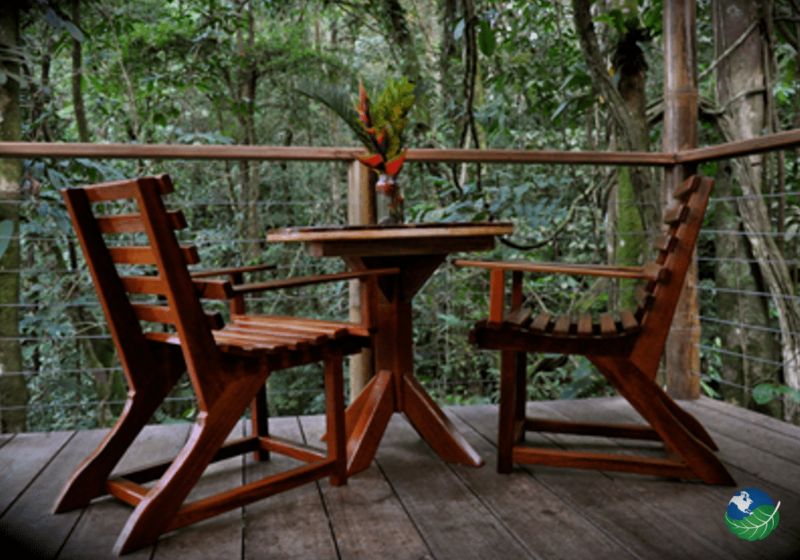 The Finca Bellavista has grown and now offers travel guest houses lodged right up in the canopy of the rain forest. The houses are all connected with zip lines and sky bridges and are accessed by ladders from the ground. Today, lots are available for purchase and new residents can design and craft their new tree house. This incredible community was actually inspired by the movie Star Wars, where, in the Return of the Jedi, the Ewoks lived in tree houses. In Finca Bellavista you live about 28 meters above the ground. Today, guests can enjoy total immersion in nature, living in 100% self-sufficient rustic yet comfortable lodging, away from the beaten path. 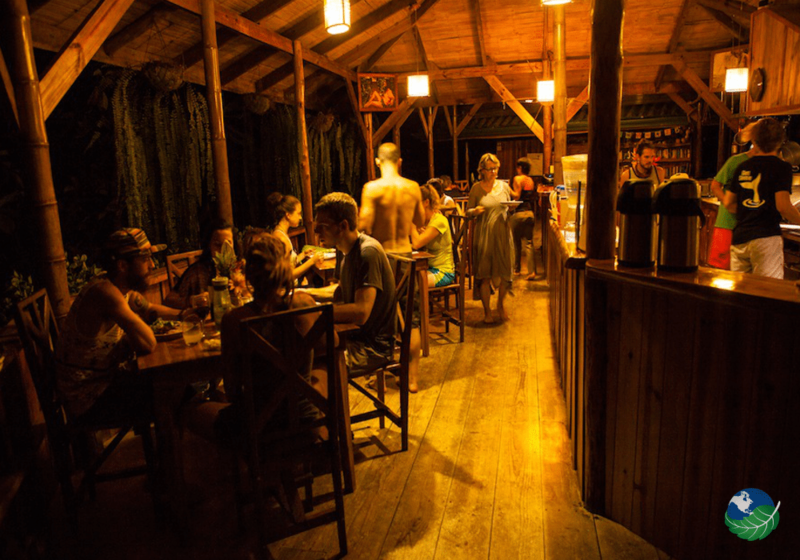 Activities in Bellavista, because you are in the heart of the jungle, there is always something to do, or to see. This is paradise for animal lovers; you are on the canopy and bird watching just happens as you relax in your tree house. Monkeys will be watching you as you start your day, overlooking a glorious sunset or even a fabulous sunrise. Finca Bellavista has an abundance of trails that provide never-ending hiking with something new to see every single day. Waterfalls and streams are just what you need following a great walk in the jungle. Needless to say, this is the best place to be for zip line and Canopy Tours! Finca Bellavista offers you the most exotic and romantic lodgings of the world. 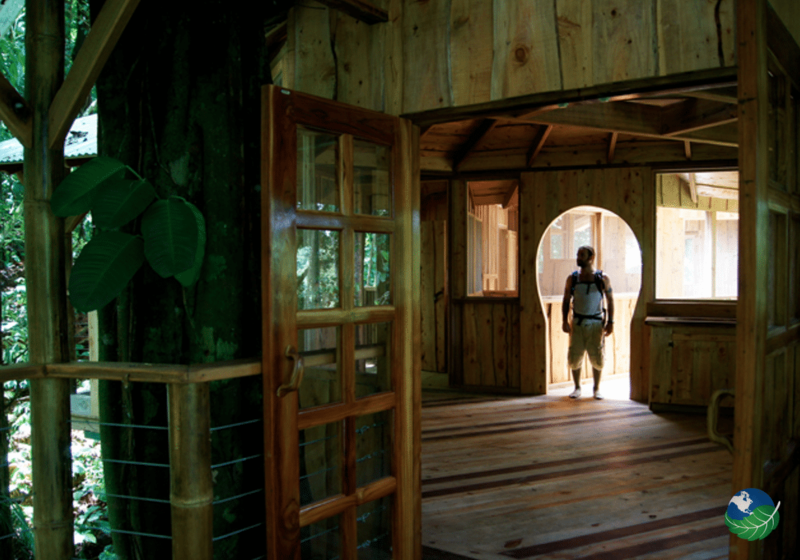 In The Finca Bellavista there is a choice of six tree houses that are rustic but very comfortable. The Castillo Mastate is by itself an architectural wonder with full kitchen, dining room, lounge and full bathroom. The smallest tree house, the Casa del Sol, does not yet have electricity installed but comes complete with its kitchen and bathroom and sleeps up to four people comfortably. Finca Bellavista may not be a 5-star resort, but where else will you have such a close contact with nature? 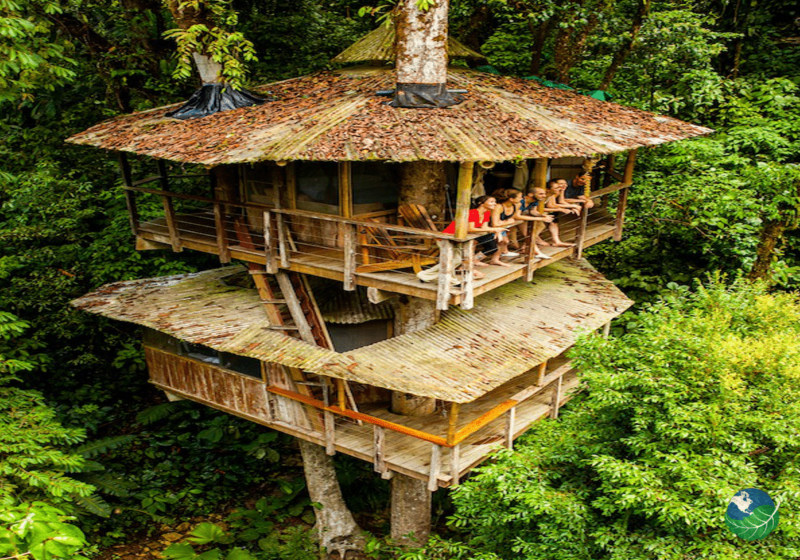 Finca Bellavista is the only Hotel in Costa Rica that consists exclusively of tree houses. This is an experience of a lifetime! The Finca Bellavista and Conservation Finca Bellavista is primarily concerned with the protection of the environment and sustainable living. It encourages visitors to love and to protect the life of the forests while enjoying all that it is giving. There are two crystal clear rivers that run along the property that visitors love to dive into. The ocean and some of the most beautiful Beaches of Costa Rica are only a short drive away and the wild life is surrounding you; monkeys, lizards, birds, giving you a unique and life changing experience. Those who are interested in conservation may take interest in the various programs offered by the community. The quickest way to reach Finca Bellavista is by taking a short flight to Golfito from San Jose airport. You catch a Taxi in Palma Sur or in Golfito that will take you for the 30 minutes ride to the Finca Bellavista. If time is not an issue, you can catch a bus to Golfito from San Jose, or rent a 4X4.